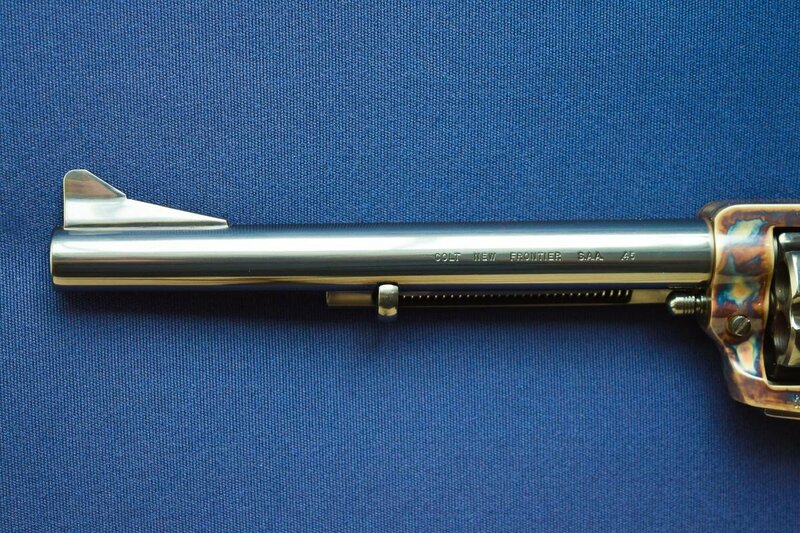 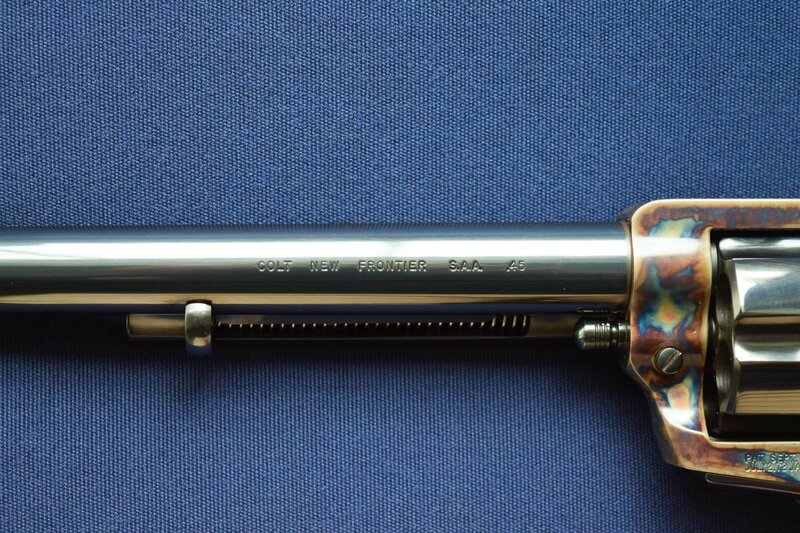 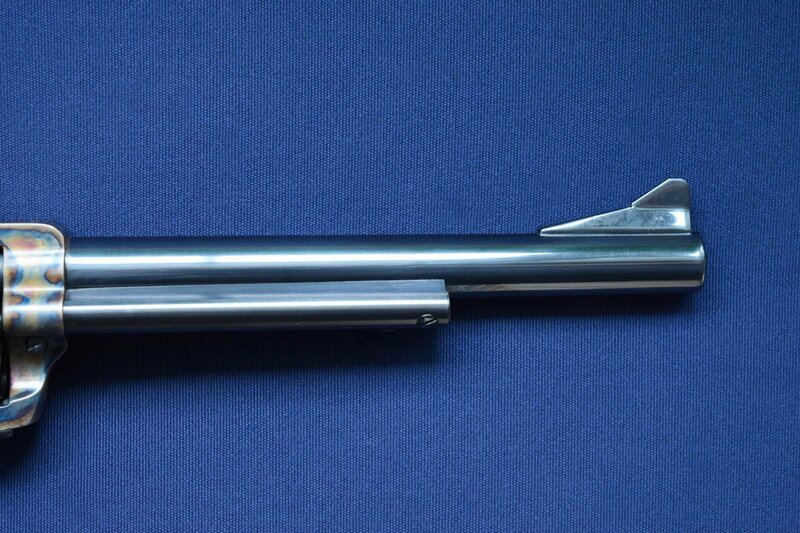 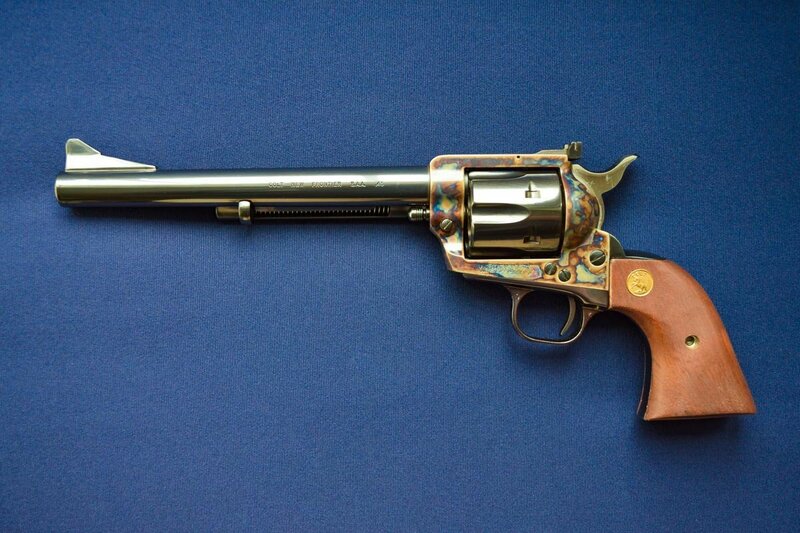 Colt New Frontier Single Action Army 3rd Generation Model P4870 in 45LC, 05XXXNF, Early Production Manufactured 1979. 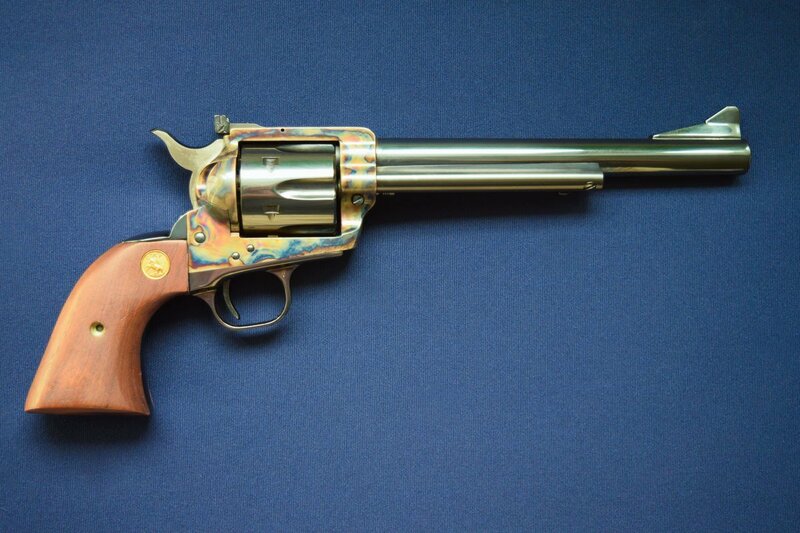 Colt New Frontier Single Action Army 3rd Generation Model P4870 in 45LC, 05XXXNF, Early Production Manufactured 1979. 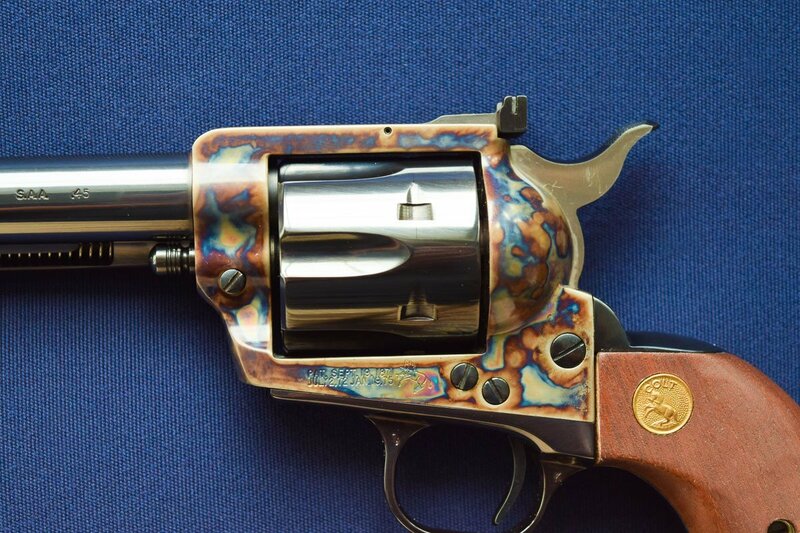 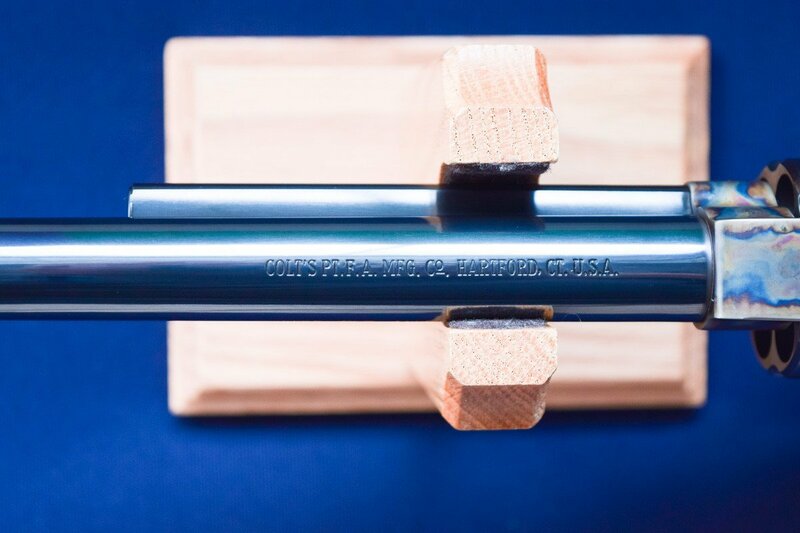 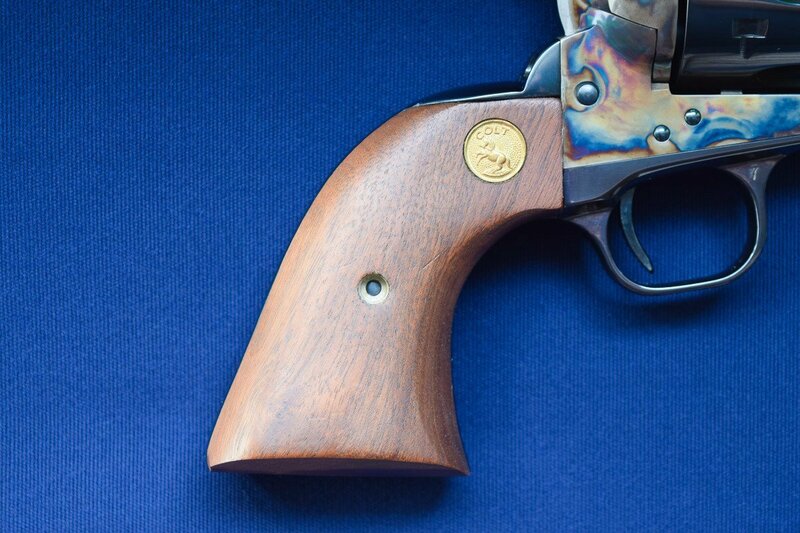 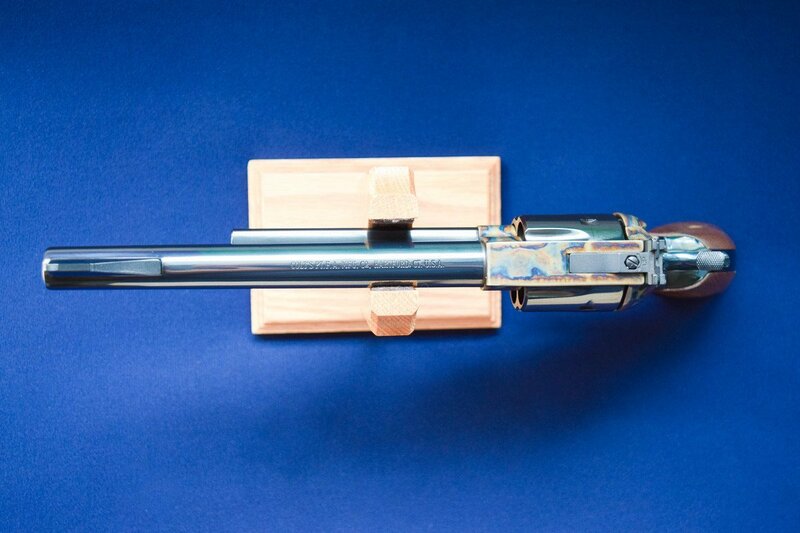 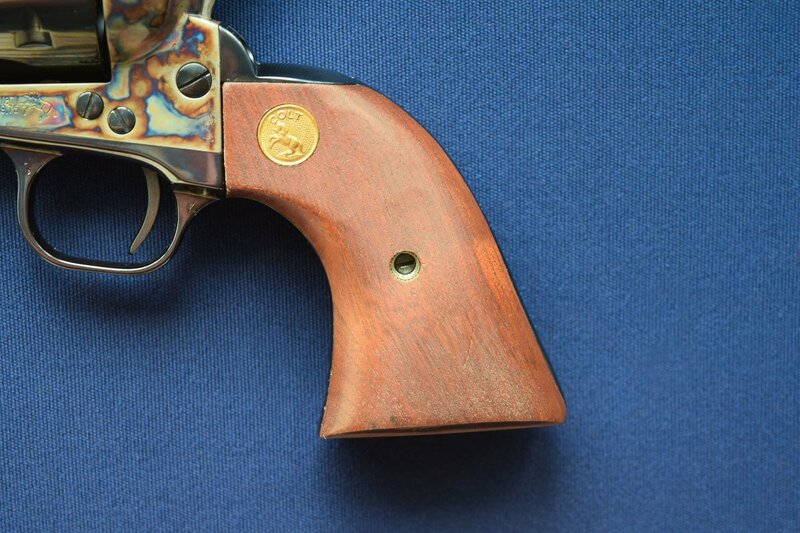 Features 7 ½” blued barrel with color casehardened frame, fitted with smooth walnut grips with gold Colt medallions. 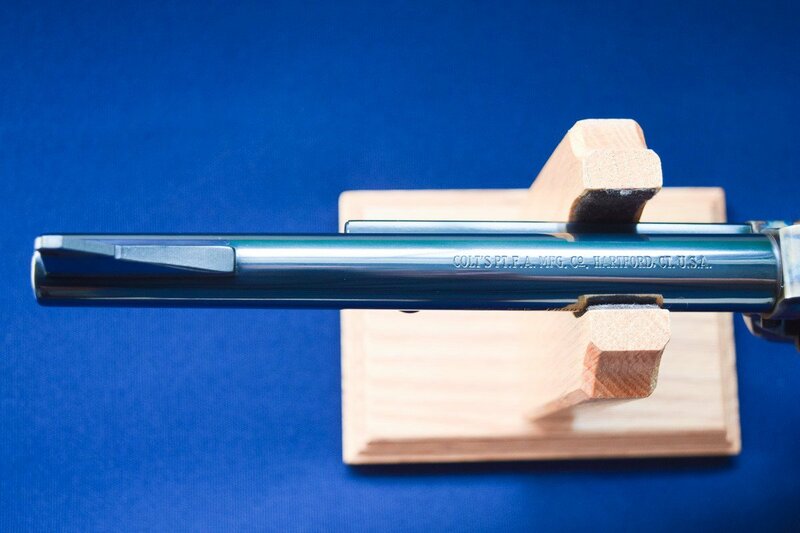 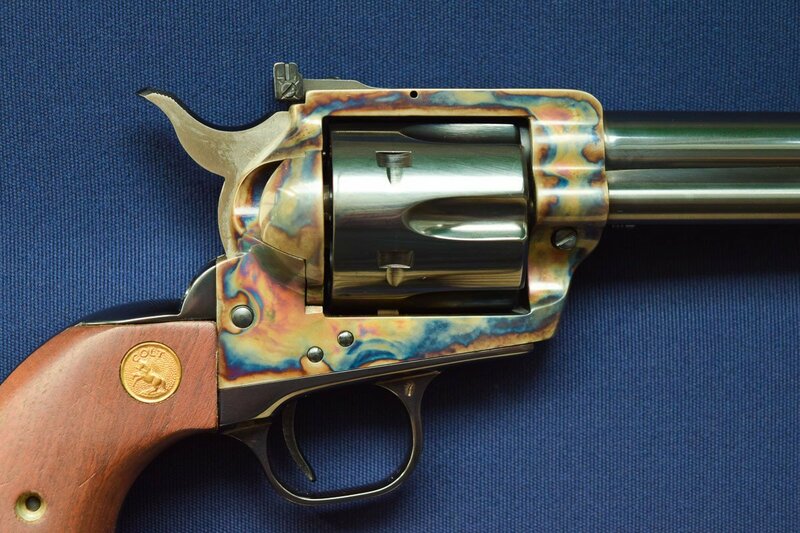 This Colt is New In Box, unfired other than at the factory, showing vibrant case colors with no signs of use. 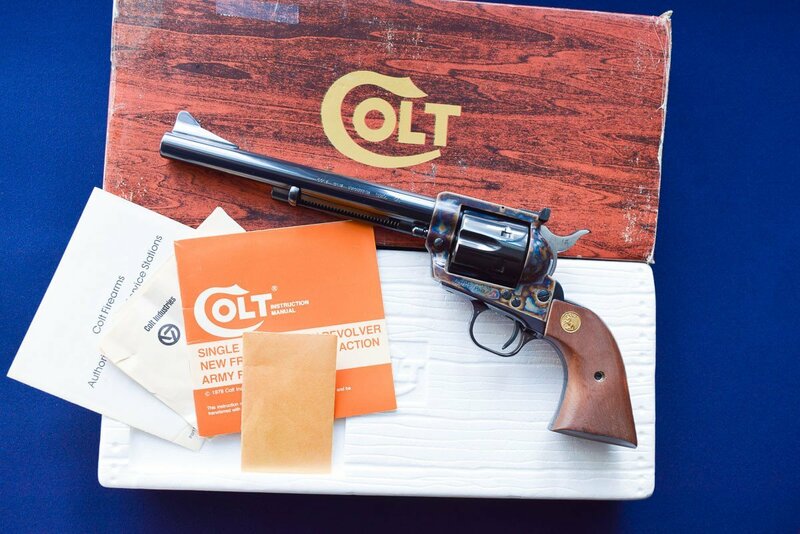 Complete with Colt woodgrain box with hand written end label numbered to the revolver & papers.